America kept hiring amid election shock. 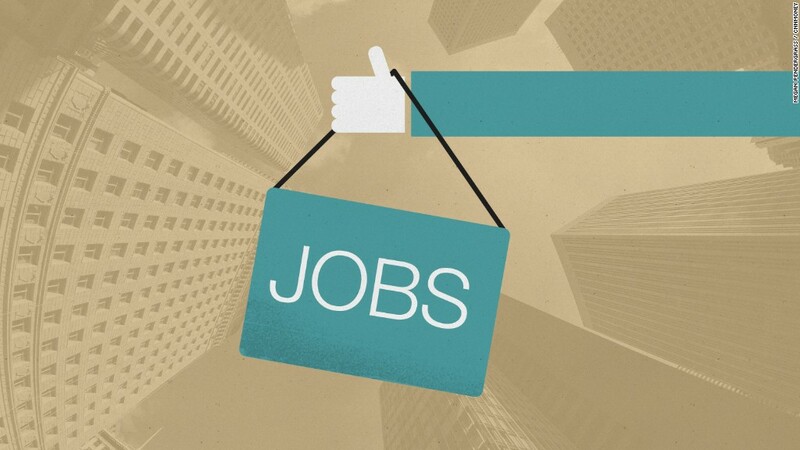 The U.S. economy added 178,000 jobs in November, the Labor Department reported Friday, and the unemployment rate fell sharply to 4.6% from 4.9% in October. It's the lowest rate since August 2007. Unemployment has been at or below 5% for nearly a year as more people have returned to the job market and hiring has maintained momentum. November was the 74th consecutive month America added jobs. "The positive momentum we've seen in the labor market is continuing as 2016 comes to a close," says Sam Bullard, senior economist at Wells Fargo. Wages rose 2.5% in November from a year ago, though that marked a slight slowdown from October. "It's a strong report...[but] wage growth is the unfinished business of this recovery," U.S. Deputy Labor Secretary Chris Lu told CNNMoney. The unemployment rate dropped for three main reasons. The number of jobless workers decreased, while the number of people with jobs increased. The total size of the labor force -- which includes both employed and unemployed people -- also decreased. Together, those three factors pushed the unemployment rate down. "Our best answer here is that more people stopped looking for work," says Steve Chiavarone, portfolio manager at Federated Investors. "The headline numbers here are okay but the underlying numbers are less rosy." Health care, construction, government and business services led the way with solid jobs gains in November. It's the first major sign of the economy's health since the surprise victory of President-elect Donald Trump. Trump's jobs promises have been in the spotlight this week. He reached a deal Tuesday with Carrier to keep about 1,000 jobs in Indiana that were slated to go to Mexico. It was Trump's first key, post-election victory. Trump's broader message behind the Carrier deal was to increase the number of manufacturing jobs in America. That could prove difficult. Manufacturing employment was flat in November, and it's been down most of the year. More than 250,000 jobs will be lost this year due to plant closing announcements, according to Challenger, Gray and Christmas. The solid overall jobs numbers also clear the way for the Federal Reserve to raise its key interest rate on December 14 when its two-day meeting ends. It would be the Fed's first and only rate hike this year and its already highly expected that the Fed will raise rate in two weeks. A rate hike is a sign that the economy is improving. "The upshot is that the labor market appears to be approaching full employment," says Paul Ashworth, chief U.S. economist at Capital Economics.